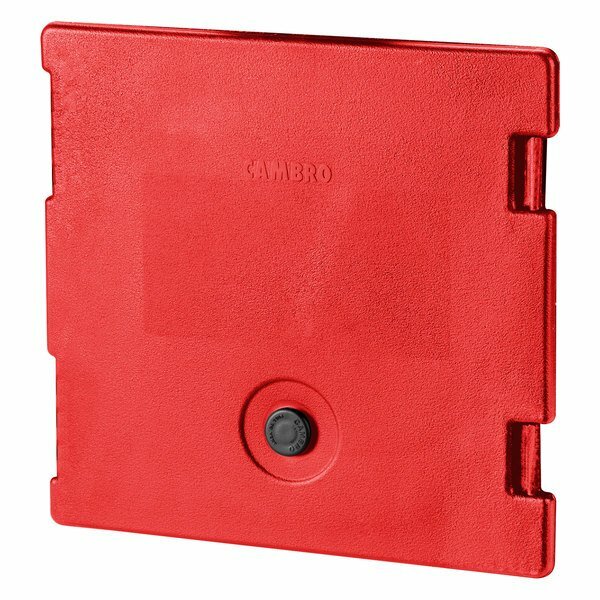 This Cambro 6318158 hot red Camcarrier door is direct replacement for the one that came with your Cambro 300MPC or 1318MTC Camcarrier. This door includes an airtight removable gasket to provide a secure seal and a vent cap that promotes air circulation and releases steam. This Camcarrier door will help retain the temperatures for hot and cold food for your catered event.